2017 YELC Application Deadline CLOSED!! We are pleased to announce this year’s YELC-STEM SL conference on Saturday, October 27, 2018! Once again we will be hosting the “STEMFest” in addition to 3 workshops that the teams will rotate through. 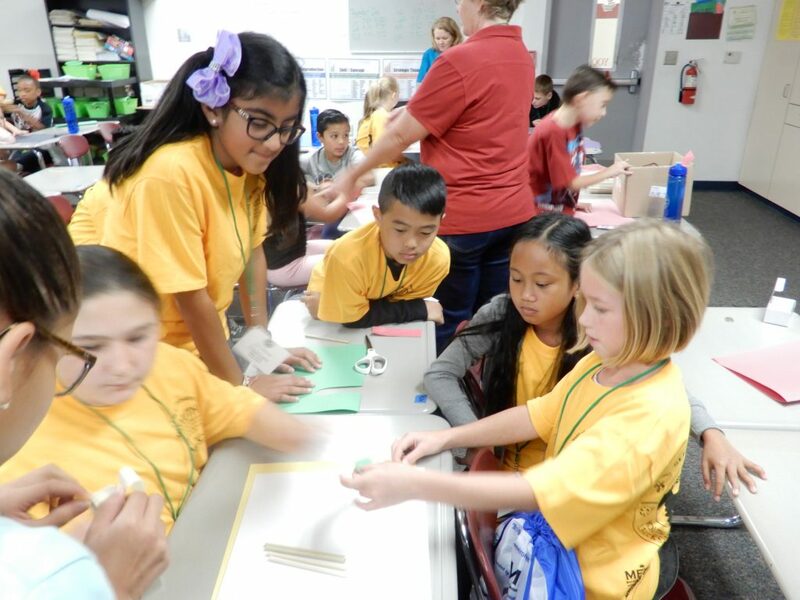 “STEMFest” is an opportunity for teams to rotate through the arena engaging with experts, mentors and other exhibitors to learn more about STEM environmental careers and projects while having fun with hands-on activities. YELC is limited to students in grades 3-12. Deadline to submit team application and student forms is 4:00 PM, September, 28, 2018. YELC 2018 is limited to 30 teams and teams will be registered on a first-come basis. Teams applications and student forms must be submitted together to complete your registration. Each participating school may send 2 teams of 2-8 students. This year, we are making every effort to make attending the event readily available by providing Transportation Reimbursement funds upon request (if applicable) for participating teams, including, but not limited to, the Antelope Valley, Barstow, Morongo Valley and Trona. This year MEEC is pleased to further incorporate the Maker Movement to YELC STEMFest! Maker Movement or Maker Ed, empowers students to create, innovate, tinker, and turn their ideas and solutions into reality. YELC is the perfect venue to learn how to incorporate Maker Ed into your environmental STEM Service-Learning projects or to bring into the classroom. This year’s Key Note speaker, Joel Greene, Host of PBS’s Curiosity Quest, is excited about engaging students on how they can use the Maker Movement in the development or further their sustainable environmental STEM Service-Learning projects. The Youth Environmental Leadership Conference (YELC) is an exciting, hands-on, one-day STEM Service Learning-focused conference designed to introduce students and educators to environmental professionals and potential careers, while encouraging students to develop environmental service learning projects that improve their local environment. Teams of two to eight students, in grades 3 through 12, along with an attending teacher/advisor, from schools throughout the Mojave and High Desert, are invited to take part in this unique and FREE Conference. Lunch, snacks, reusable water bottles, YELC T-Shirts, and all conference materials are provided free of charge. Additionally, new teams participating in YELC are eligible to apply for a project grant up to $250 to implement or further their environmental service learning project!